Iaido is a traditional Japanese martial art whose origins date back to the 16th century. It is organized into groups of prescribed movements which are practiced without a partner. 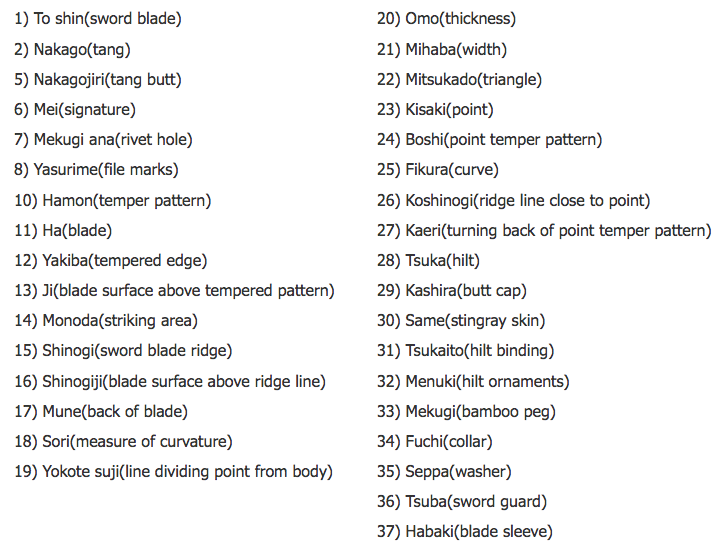 Each of these techniques consists of drawing a sheathed sword, making one or more cuts and then re-sheathing the sword. Some techniques begin from a kneeling position, some from a standing position and most end with the practitioner standing. Emphasis on etiquette, repetition, proper posture, breathing and timing makes Iaido physically and mentally rigorous. Iaido practice is done wearing a hakama, pleated flared trousers, and with a metal sword. Beginners and intermediate students use an iaito, a metal sword without a cutting edge. Most students practice Aikido for at least 6 month or are training in another martial art before starting Iaido. Permission of the Iaido instructor is required. Those interested in starting Iaido are welcome to come watch a class on Mondays or Wednesdays 4:45-5:45 PM. At Portland Aikido we follow the teaching of Mitsunari Kanai Sensei and his interpretation of the Muso Shinden Ryu style in addition to forms from other Iaido styles. From 1966 to 2004 Kanai Sensei was chief instructor of New England Aikikai in Cambridge, Massachusetts. 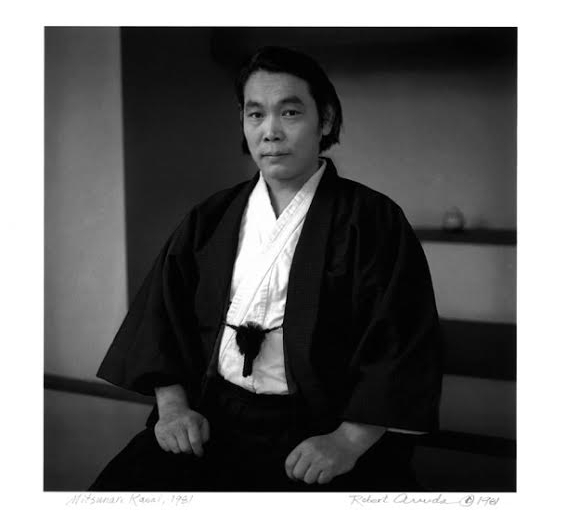 Mitsunari Kanai (1939-2004) was an uchideshi or live-in student at Hombu Dojo in Tokyo, Japan and trained under Morihei Ueshiba, the founder of Aikido, for eight years from 1957-1965. He was sent by Aikido World Headquarters to Boston, where he founded New England Aikikai (NEA) in 1966. A shihan (grand master) in Aikido, Kanai Sensei was chief instructor at NEA from 1966 until his death in 2004. He was instrumental in the founding of the United States Aikido Federation(USAF) and served as USAF technical director. For almost forty years he traveled all over North and South America, Europe and Asia teaching Aikido seminars. In addition to being proficient in several other martial arts, Kanai Sensei was a master in Iaido, the Japanese martial art of sword drawing. Prior to his death in 2004, Kanai Sensei gave his Iaido sword or shinken (a live blade with a cutting edge) to Claude Berthiaume, chief instructor of Aikido de la Montagne in Montreal, Quebec, Canada. Berthiaume Sensei has dedicated himself to teaching Kanai Sensei's Iaido at seminars throughout North and South America and Europe. Per Kanai Sensei's wishes, Berthiaume Sensei founded Kiyoikaze Iaido Federation to carry on Kanai Sensei's legacy. Portland Aikido is a member of KIYOIKAZE IAIDO FEDERATION (KIF) and our Iaido students attend several KIF seminars per year. Berthiaume Sensei comes to our dojo every October to teach Iaido and administer Iaido tests. Sometimes a deflection called uke nagashi is part of the intial drawing of the sword. Okuden – third tradition or kata of Muso Shinden Ryu style. Okuden kugesa starts from a seated position. Okuden tachiwaza starts from standing. Seiza – formal seated position. The Shoden kata uses seiza as a starting position. Tate-hiza – seated position more advanced than seiza used in the Chuden and Okuden kugesa katas.